These are very nice tart indeed. I like fruit tarts a lot! The chef from the recipe is a very famous pastry chef in France, I suppose this would be a great recipe. Thanks for sharing. I shall try it out. Cheers! 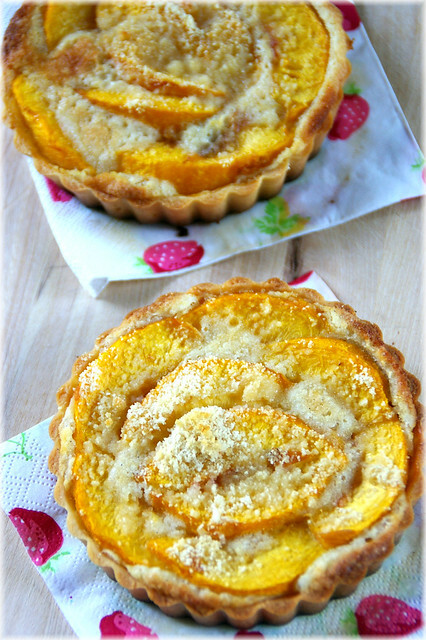 Perfect season for the delicious tarts. These looks so incredible delicious. Especially the gooey one in the last photo. Amazing. Those sound and look delicious! I've been thinking of making a summer fruit tart for a while now...and I may just have to try yours. 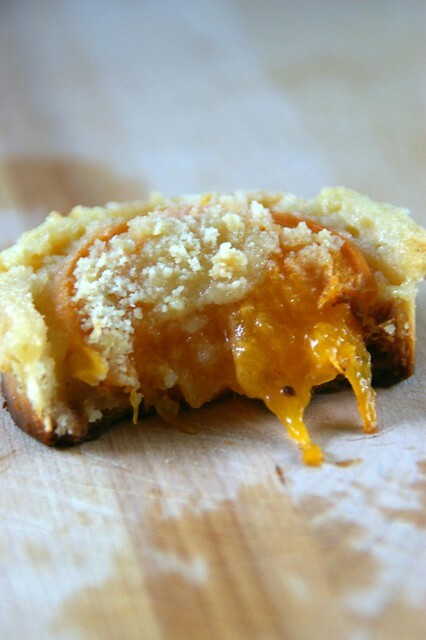 The photos looks good and this is an awesome sweet tart dough. Thanks for sharing. If you wont mind I'd love to guide Foodista readers to your post. Just add the foodista widget to the end of this post so it will appear in the Foodista pages and it's all set, Thanks! Oh my gosh, this look delicious! And so beautiful! I'm just starting a diet to lose a few pounds ready for my holidays, and yet I'm visiting food blogs like this. I'm not doing myself any favours! Nothing boring about these tarts Mandy! Those are beautiful. Wow! Brilliant photography as well. Oh wow I just found your blog. Unlike you.. i am a HUGE fan of stone fruit.. especially peaches!! That looks absolutely delicious. I love your strawberry print napkins too. 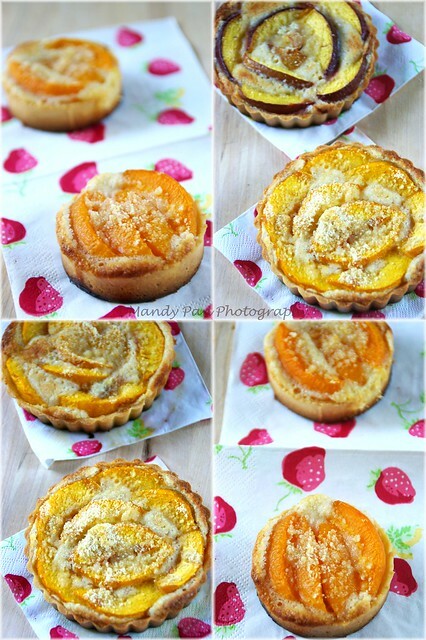 Your stone fruit tarts really looks delicious! And the presentation is great as well. What I'm more excited about is that I can freely use just about any fruit - whether it's apple, peach, orange or anything else. I really love the idea that baking this will let you become creative and more concerned about your health. WoW! The sight makes me drool sorry for that and my screen ucckk uh never mind..LOL. Just can't help admiring foods and try cooking them at home. Nice post. Thanks for the share! Wow it really looks yummy and delicious. How I wish could have a taste of that tart.